On Friday, we went to the MFM doctors again. Since 4 weeks have passed, they were able to do comparative measurements and approximate weight estimates on all of the babies. 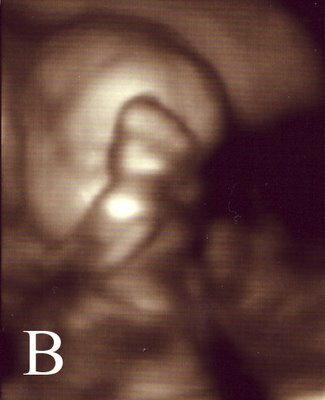 Baby A is estimated at 1.07 lbs., Baby B at 1.11 lbs., and Baby C is up to 1.03 lbs. 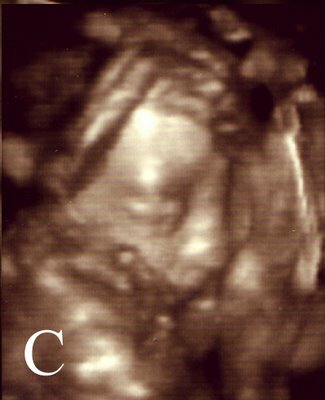 This is good news, particularly since they were concerned about Baby C’s growth rate. Additionally, the doctors looked at the CAM growth in Baby C’s lung and it does not appear to have grown any larger. They did not go as far as to say that it was any smaller, but said that measuring the size of the growth is somewhat subjective, since it may simply be that the growth has stayed the same size as the baby has grown. The doctors were pleased with this and mentioned again that perhaps it will be one that resolves itself. Please continue to pray for Baby C! 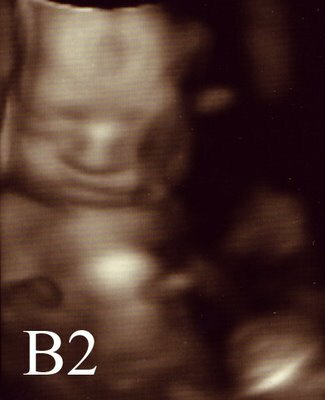 We also got a pleasant surprise while the technician was taking the measurements via ultrasound. Manish wanted to see the babies’ profiles and the technician was having a hard time getting them to come up because of the way the babies were turned. 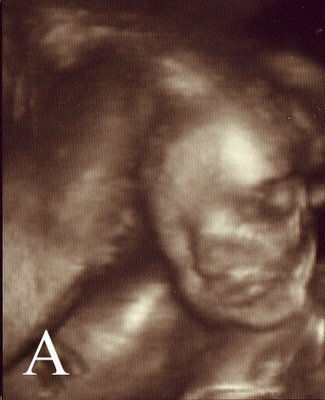 Since it was fairly quiet in the office and the ultrasound machine was the one that they have which also has some limited 4-D technology, she played around with it a bit and we were able to see the babies faces on 4-D, which was really neat! They didn’t have the nice sharp color printer needed for good 4-D image printouts, but she did print a few out in black & white for us (see below for a couple of the images). Baby B had his hands up in front of his face and so she tapped on him a couple of times to try to get him to move them…he did eventually, but as you can see from the disgrunted look on his face, he didn’t like it very much!